Gap nhau cuoi nam - Tao Quan (Year-end Rendezvous – Kitchen Gods), an annual new-year TV special program of Vietnam Television (VTV) won the “Program of the Year” at the VTV Awards 2018 which ended in Hanoi on September 7. The VTV’s popular comedic show on social issues in the previous year with a humorous angle is aired annually on all channels of VTV on every New Year’s Eve. The Vietnam national under-23 football team named Person of the Year for their impressive performances at the Asian Football Confederation (AFC) U23 Championship in China in January and the Asian Games (Asiad) 2018 in Indonesia. The 73-episode film Ca Mot Doi An Oan (Life of Love and Feud),won the VTV Award for impressive TV series. The film’s leading actor and actress Hong Dang and Lan Phuong were presented the impressive TV serial actor and actress awards, respectively. Pop star My Tam was honored with the title “Impressive singer”. Singer Ngo Kien Huy bagged the “Impressive emcee”. The documentary film Hanh Trinh Bat Tan (The Endless Journey) on seeking justice for Vietnamese Agent Orange victims by Vietnam Telelevision won the “Impressive documentary film” prize. An image of the football team playing during the Asian Football Confederation U23 Championship in snowy Changzhou, China early this year; and a picture of millions of Vietnamese football fans celebrating U23 team's victory at AFC Championship got the “Impressive News in Image”. The program “Father and Son Ensemble” on actor Quoc Tuan who has a child with Apert Syndrome and spent 15 years struggling his son's symptoms is named Impressive Programme of Culture, Science and Education. 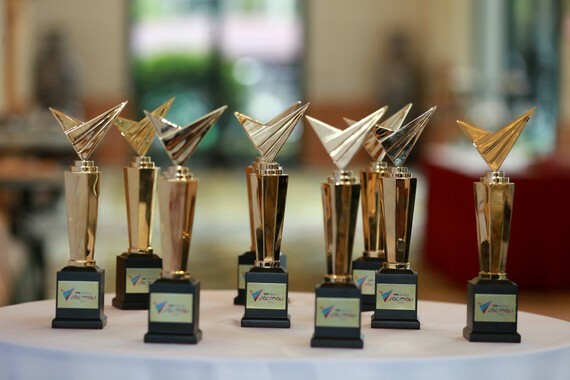 Launched by VTV in 2014, the annual awards honour performers who had oustanding contribution in the fields of film, music, theater and TV programmes, which have received a positive response from local audiences for a year. 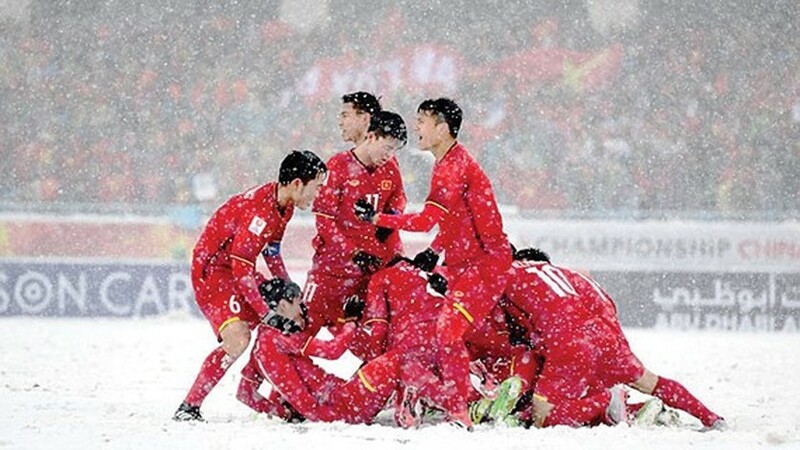 An image of the football team playing during the Asian Football Confederation U23 Championship in snowy Changzhou, China early this year receives the “Impressive News in Image” award.